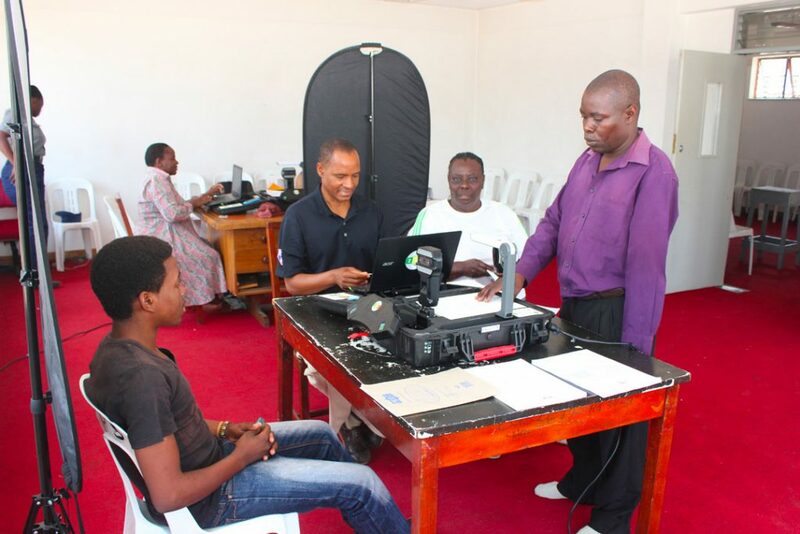 As part of the preparations for next year’s elections and with support from ZIM-ECO project, the Zimbabwe Electoral Commission (ZEC), launched a country-wide Biometric Voter Registration (BVR) process, starting on 10 October 2017. This mobile registration process has been conducted in four phases, covering the entire country, and will lead towards the development of a new preliminary voters’ roll after the voter inspection process. Permanent registration centres at the 63 district offices of ZEC have been set up over the last months to handle the exercise. Each phase lasted for 16 days with approximately 2,500 registration centres per phase. The target set up by ZEC as part of its Strategic Plan 2016-2020 was 5.5 million registered voters, representing 80% of the eligible voter population. After the completion of four Phases, 4.87 million people have been registered, which is 67.5% of the total eligible voter population. Based on the demand from political parties and civil society organisations (CSOs), ZEC is planning to extend the voter registration for 30 days (January – February 2018). It is expected that with this extension, ZEC will reach the target of registering 80% of eligible voters. As of 22nd January, 2018 a total of 5.03 million people have been registered. In order to increase voter awareness, ZEC launched a comprehensive nation-wide voter education campaign using creative and innovative media tools with very targeted messages. This included printed materials, audio visual material, advertisements and dramas to reach out to stakeholders with a focus on women, youth and people with disabilities. The short video advertisements showcase young people promoting the process and highlight the documents required to registration. You can see the videos HERE. 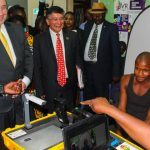 With the support of the joint EU-UNDP ZIM-ECO project, this was for the first time that ZEC used several communication mediums and tools such as print and electronic media, SMS messages, call centres, road shows and voter educators using pocket projectors as communication tools. Very positive feedback was received during the “Voter Education Mid-Stream Evaluation Workshop” on the BVR Campaign which has been organised with participation of CSOs to collect views and opinions. The Campaign was appreciated with some tweaks recommended for the extension of voter registration.